Hello I'm going to tell you about Mummy's kniting. This is The jumper Mummy is making for my sis. Its red and pink and purple. it is soft. It is lovely and your guest blogger clearly has a future in this :). I want a little Blog helper. loving the wool for the cardigan too. love the colors of the jumper also. And he is lucky to have such a talented Mum, and his sis is lucky to get that jumper, gorgeous colours! Excellent post! 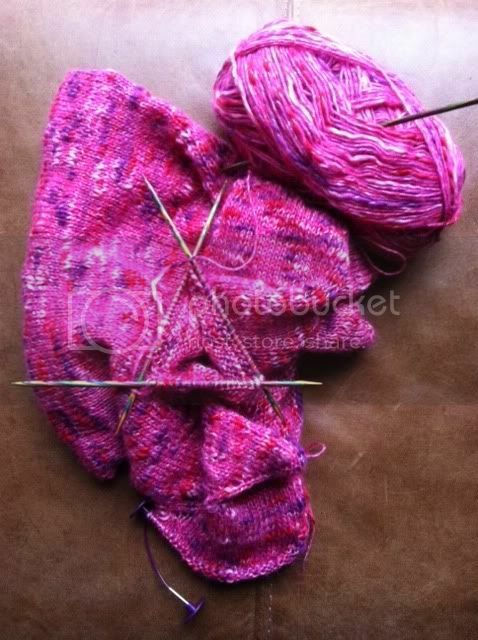 the sweater is going to be so pretty. I love the color. A lovely post and it will be a gorgeous jumper!